In celebration of the United Nations’ International Day of the Cooperatives on July 7, Miller Center recognizes GSBI® In-Residence accelerator alumnus, Joseph Nkandu, founder of the National Union of the Coffee Agribusiness and Farm Enterprises (NUCAFE), for pioneering the farmer ownership cooperative model in Uganda’s coffee value chain. Through the farmer ownership cooperative model, smallholder coffee farmers collectively own and operate their coffee farms, achieving scales that they could never reach as individual farmers — this is the transformative power of the farmer ownership cooperative model. Joseph grew up in a coffee-growing family in Uganda. His family relied on coffee as a cash crop. His parents barely made enough money to pay school fees for Joseph and his siblings. Just like the six million smallholder coffee farmers in Uganda, Joseph’s family could hardly afford water, electricity, and education. The life of a smallholder coffee farmer was grim. He realized that smallholder coffee farmers received only a small fraction of the total value of their coffee beans. Because most smallholder coffee farmers cultivated an average of one acre of coffee bushes, they operated at small scales in a competitive market. This made it impossible to gain any market power. When smallholder coffee farmers had to cover basic necessities and family emergencies, they are forced to sell their beans before maturity. And without the scale, storage capacity and market knowledge, they could only sell at whatever price the middlemen demanded. The middlemen could, therefore, buy coffee beans from smallholder coffee farmers at a steep discount. Joseph believed that if smallholder coffee farmers were organized into cooperatives using the farmer ownership model, they would gain a competitive edge in the coffee value chain. Joseph wanted to help the 500,000 smallholder coffee farmers in Uganda who on average earned less than US$2.00 a day. In 2003, Joseph founded the social enterprise National Union of Coffee Agribusiness and Farm Enterprises (NUCAFE) in Uganda. Over the next fifteen years, Joseph formed two hundred farmer cooperatives with over one million smallholders. Once smallholder coffee farmers become members of a NUCAFE cooperative, NUCAFE facilitates value-added services to the smallholder coffee farmers. Cooperatives can store, grade and roast their coffee beans at NUCAFE’s centralized facility. These services increase the value of the coffee beans by thirty percent as the coffee beans are export ready. NUCAFE then markets the coffee beans to domestic and international buyers. Since 2009, for example, NUCAFE has been selling coffee to Caffé River, an Italian coffee roasting company that operates in Italy, Romania and Denmark. NUCAFE charges the cooperatives a service fee for every kilogram of coffee marketed. Instead of buying the coffee beans from cooperatives, NUCAFE acts as the service provider. Cooperatives, therefore, have ownership of their coffee beans throughout the coffee value chain. This service-fee model is transforming the coffee value chain of Uganda. 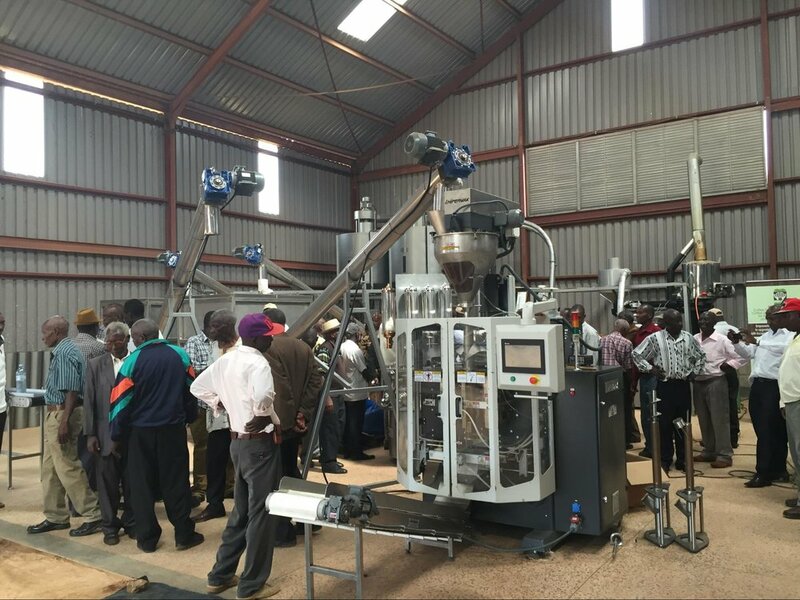 In fact, the middlemen who traditionally bought unprocessed beans from smallholder coffee farmers are now adopting this model; rather than buying, the middlemen are providing processing services. Hussien Walakira owns a processing factory in Uganda. He previously bought coffee beans from smallholder coffee farmers for processing. But Hussien’s factory was operating at just forty percent of its capacity: he realized that his business would go bankrupt if he did not increase the factory’s operating capacity. Hussien turned to NUCAFE for advice and, consequently, changed his middleman role. Instead of buying coffee beans from smallholder coffee farmers to process, Hussien charged smallholder coffee farmers a service fee for his processing services. More farmers began to use his processing factory. As a result, Hussien’s factory now works at ninety percent of operating capacity. As the founder of NUCAFE, Joseph knew that more had to be done to catalyze systemic change in Uganda’s coffee value chain. NUCAFE worked with the government to influence the National Coffee Policy in 2013. And for the first time in the history of Uganda’s coffee value chain, the government is enabling smallholder coffee farmers to participate in all stages of the coffee value chain. As NUCAFE continued to expand its operations, Joseph started to build regional training hubs for cooperatives. He needed to refine his business pitch to secure funding from investors. In 2016, Joseph participated in the Global Social Benefit Incubator (GSBI), an accelerator program based in the Silicon Valley at Santa Clara University. With funding secured to continue constructing regional training hubs, NUCAFE is beginning to train Ugandan youth to become coffee entrepreneurs. Already, smallholders from NUCAFE’s cooperatives can afford to pay for their children’s education — a luxury that Joseph never enjoyed in his childhood.